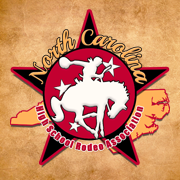 MAY 25-27 NC HIGH SCHOOL RODEO FINALS! Fri 4pm, Sat 11am, Sun 10am Come cheer on these awesome Jr and High School athletes as they wrap up another great rodeo season and many move forward to represent NC at the Nationals! Great family or group outing. The Arena Grill will be open so come hungry!